DHANLAXMI GROUP, Presently known as MANOMAY TEX INDIA LTD was incorporated on 13th April 2009 under the Companies Act The Group is a forerunner in manufacturing ready to stitch fabric with the annual capacity to produce 17 million meters of fabric. 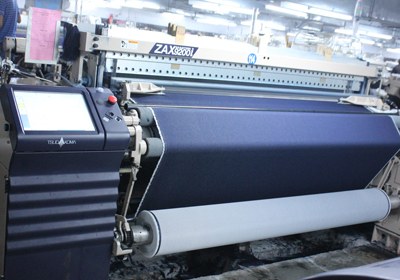 The fabric division of MANOMAY is equipped with latest technology and state of art computerised designing looms like high speed Air Jet looms (Models includes Picanol & Tsudakoma), to produce one of the finest fabric in Polyester/ Viscose, Polyester/ cotton, Pure Cotton, PV Lycra and Polyester segment. The division has 120 LOOMS with Annual production of 17 Million meter fabric. We are a professionally managed organization, which is managed by trained, qualified and expert managers who have vast experienced in the field of Textile Fabrics Sector. The company, has been owned by the owning Mr. KAILASHCHANDRA HIRALAL LADDHA, who have guided the company through the stages of development. Today the management of the company is in the hands of their successors Mr. MAHESH LADDHA , Mr. KAMLESH LADDHA, Mr. YOGESH LADDHA, who undertake all the business operations of the company. We have developed huge and advanced infrastructural unit, which comprises of a high tech manufacturing setup, quality testing laboratory, designing room, warehouse and logistics department. The infrastructural setup developed by us comprises of technologically advanced textile manufacturing machines like Auto looms, Airjet looms, which allows us to achieve production capacity of 20 lakh meters per month. 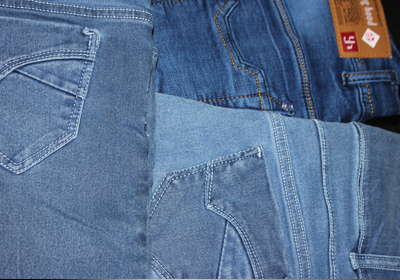 We at, MANOMAY TEX INDIA LTD., BHILWARA, are Driven by Market Demands and are Committed to Manufacture and Supply Textile Fabrics, Made-Ups to the Agreed Specification of the Customer, by Adhering to the Enhanced Quality Management Systems.